Rustavi 2 director Nika Gvaramia. TBILISI, DFWatch–The director of Georgia’s biggest opposition TV company claims the government is using tax laws to to get it off air ahead of the local elections in October. 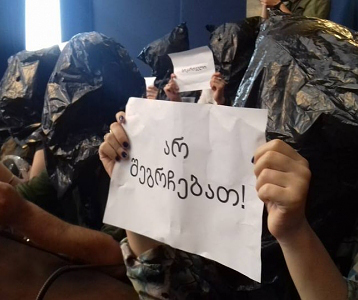 “TV company Rustavi 2 is again under threat […] The state is seemingly preparing for a decisive blow against Rustavi 2, and this blow will be financial, executed by tax authorities which will seize of our operational accounts. 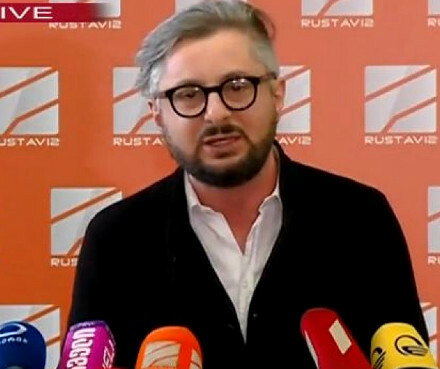 This will cause the closure of the TV company and the disappearance of its broadcasting,” Rustavi 2 director Nika Gvaramia said at an emergency press briefing on Friday. He appealed to civic organizations, foreign diplomats and international organizations to defend the TV company ahead of the upcoming elections. 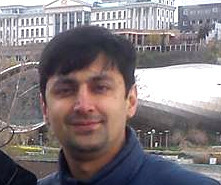 Gvaramia conceded that Rustavi 2 has a tax debt but declined to specify the sum. 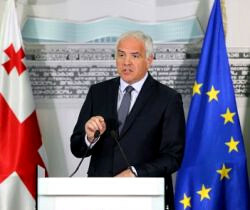 “Rustavi 2 is under pressure from the state,” Gvaramia said and claimed that the debt had come up due to that pressure. 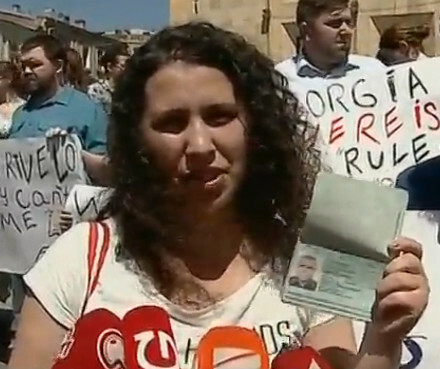 The state exerts enormous pressure against ‘the sole pro-western and pro-democratic TV station in the country’, Gvaramia said, adding that after the government was unable to take over the channel by legal means, thanks to the interference of the European Court of Human Rights, it has changed tactics and is now trying to stifle its voice financial means. 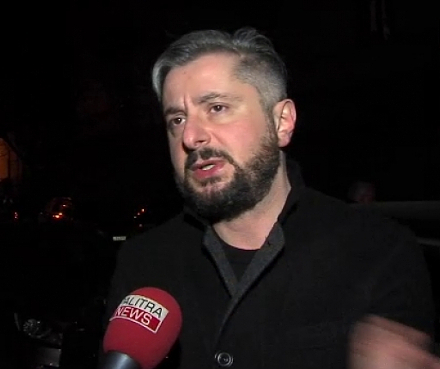 Gvaramia said that due to Rustavi 2’s dire financial situation, he and the rest of the company’s management have not received salary for several months, while the journalists have received only half of their salary. One of the key reasons behind this situation is that due to the ongoing litigation with Rustavi 2’s former owner the company has been unable to obtain bank loans. Gvaramia’s briefing was preceded by a statement by the minister of finance who claimed the fact that Rustavi 2 is avoiding paying taxes means that its overall economic situation is ‘non-competitive’.